Integrated approaches and financing possibilities for the energy efficient rehabilitation of urban areas was the focus of the Urb.Energy Midterm Conference. 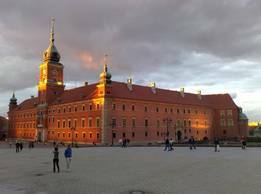 The event was hosted by the City of Piaseczno, the Polish “National Energy Conservation Agency” (NAPE) and the National Economy Bank (BGK) of Poland and took place in Warsaw at June 10. The project Urb.Energy aims at the elaboration and partly implementation of transferable integrated concepts and strategies for a sustainable and holistic rehabilitation of residential areas. In doing so a special emphasis is given to the energy efficient refurbishment of the housing stock and the energy supply infrastructure. The first part of the conference was therefore dedicated to experiences in Poland, Germany and Latvia on integrated sustainable urban development approaches that provide as “framework strategies” a basis for sectoral planning, projects and funding. The second part of the conference was focusing on possible financing instruments to support the implementation of energetic issues in the framework of integrated urban development concepts. 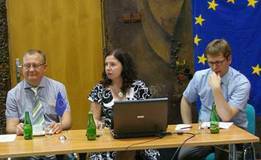 A special attention was given to EU financing tools like JESSICA and ELENA. In the final discussion the potential and challenges of the energetic upgrading of neighbourhoods has been discussed. It became clear that comprehensive approaches – that are focusing on the overall development of a clearly defined residential area – offer opportunities to combine actions for energy efficiency (like e.g. construction measures but also awareness raising activities to influence user behaviour) with actions for the general upgrading of the urban areas (especially green spaces and social meeting areas) in order to raise acceptance and commitment of owners and residents.